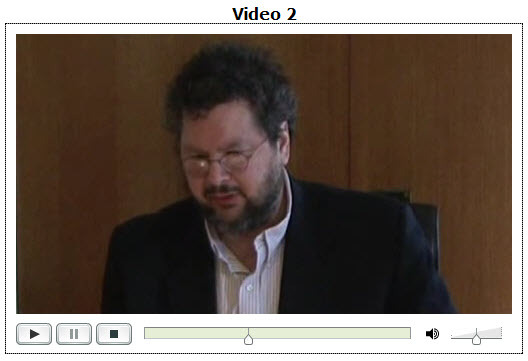 When I first began researching Lifestreaming back in February of 2007 I pointed to its origins which was a project started at Yale University by David Gelernter. David went on to write several books including Mirror Worlds which provided many of the concepts that would eventually lead to what we know as Lifestreaming today. I hadn’t seen any activity from David regarding Lifestreaming beyond the older pages I came across on the web. That was until today when I saw this tweet from Alberto Escarlate where he rightfully exclaims “Did someone invent lifestreaming?”. 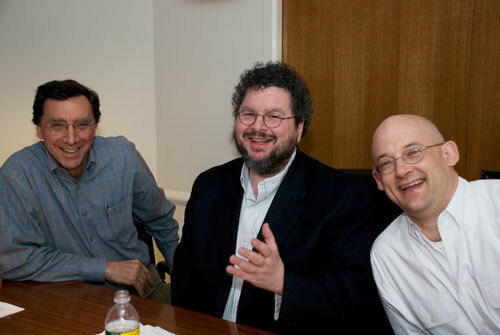 His tweet linked to this great roundtable interview conducted by John Markoff and Clay Shirky. This is a great discussion that has a transcript provided on the page along with 2 videos. I was glad to see that David discussed Lifestreaming quite a bit. Here are a few of the interesting excerpts I came across. Well, Lifestreams was already my idea that instead of keeping my information in separate pieces of digital Tupperware with some of it in this app, and some of it in that app, and some of it in the file system, and some of it in my Web brower, and some of it on my laptop, and some in my palm, and some in my cell, and blahblahblah — I didn’t want to do that. I wanted every information object I owned arranged in an electronic diary or journal or narrative. Or ‘Lifestream’ is what I call it. Here is an answer to a question by John Markoff which is very profound and similar to what I discussed as well in my post on why you should be Lifestreaming. The case you raise, John, is a fascinating case because we always said, “This is not just a small software thing. This is going to be your life. I would love to be able to inherit a Lifestream from my grandparents and see what their lives were really like and there is no reason I shouldn’t leave my Lifestream to my children and my descendants. There’s no reason why these shouldn’t go for centuries or millennia. Or let you immerse yourself in the lives of your forbears, the lives of an earlier time. In such a radically a-historical world as ours, it’s important. But on the other hand, there are cases where I want to suppress the past and it’s important for me that I be able to do that. Certainly it is conceivable. It is doable. There are two videos that also accompany the article. Below is a screenshot of the second video showing exactly where David begins to speak about Lifestraming. I’ve provided this as a pointer since the video player they are using on the site does not offer playback times for me to direct you to. I’ve only provided a small nugget of the interview and highly encourage you read the transcript of the discussion as It lets you peer into the thoughts of the first pioneer behind what we are doing in the Lifestreaming space today. Pingback: What is Lifestreaming? | ru blogging? Pingback: New Comm Biz » What the Heck is a Lifestream?